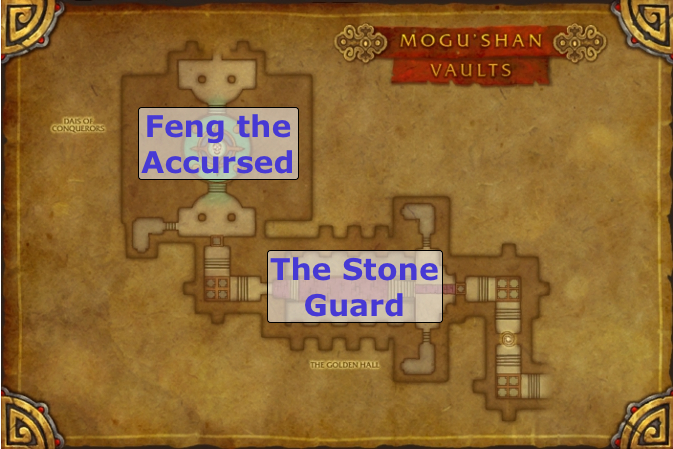 Mogu'shan Vaults is a raid instance, introduced in the World of Warcraft: Mists of Pandaria expansion. The raid is available in 10 and 25-man raid sizes, as well as in LFR format. All 10 and 25-man encounters have both a normal and a heroic version. 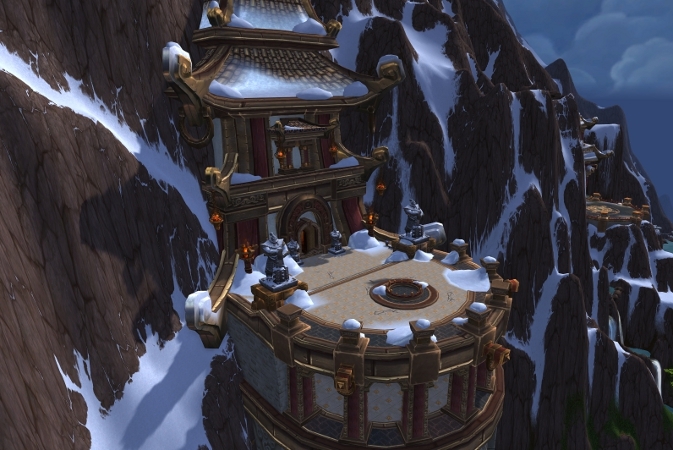 The raid is part of Tier 14, in terms of PvE progression, and it is intended as the starter raid of the Mists of Pandaria expansion. The raid houses 6 boss encounters, accessible only in their intended order. 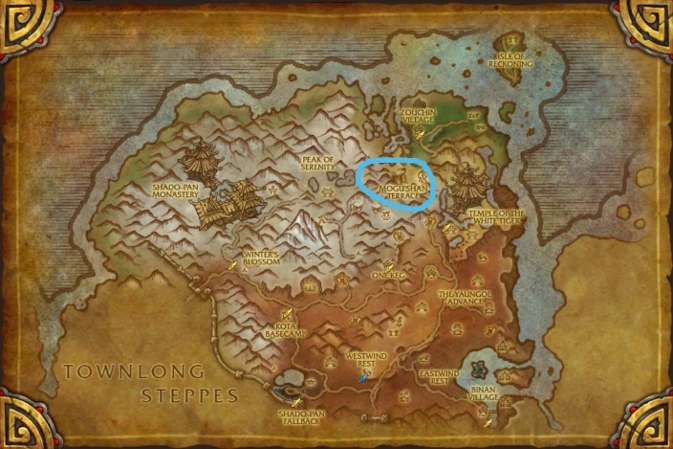 The raid instance entrance is located in the north-east of Kun-Lai Summit, on the Mogu'shan Terrace. The Stone Guard is the first encounter of the instance. This is a council-style encounter, which acts as a gatekeeper boss. It will test your raid's ability to handle basic mechanics and execute a relatively simple strategy. 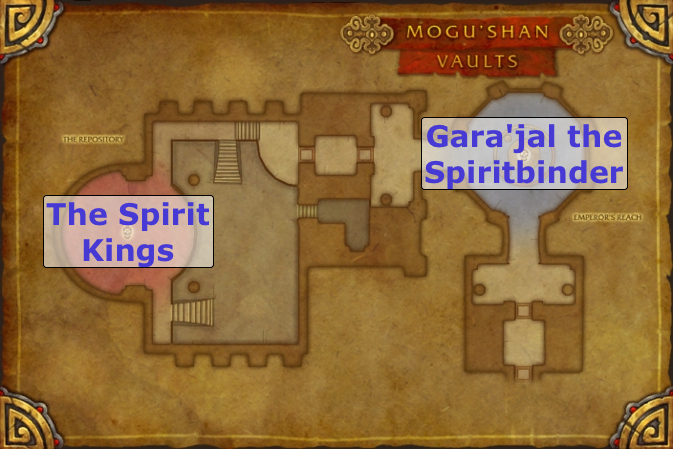 The next two bosses are Feng the Accursed and Gara'jal the Spiritbinder. Feng is a rather simple 3-phase fight, while Gara'jal is heavily reminiscent of the heroic mode of Valiona and Theralion, in the Bastion of Twilight, requiring your raid to simultaneously perform tasks in two different realms. The Spirit Kings, the next boss encounter, is another council-style fight. It has many interesting and innovative mechanics that are sure to keep you on the edge of your seat. The penultimate boss, Elegon, bears a striking resemblance to Algalon, in Ulduar. The encounter is one of extreme complexity, containing as many abilities as the fight against Alysrazor, in the Firelands, if not more. However, with proper execution, it is by no means an insurmountable challenge. The Will of the Emperor is the final encounter of the raid. This is a complex and long encounter, where you will be assaulted by many different types of adds, before finally engaging Qin'xi and Jan'xi, the two actual bosses. 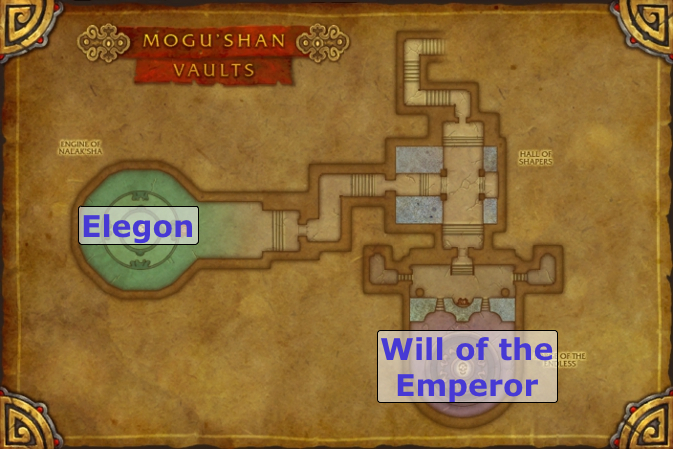 Note that the Mogu'shan Vaults, at least currently, does not appear to play any part in the legendary quest line of Tier 14.